What you might not know about the Tea Party sensation of the moment, Delaware's GOP Senatorial nominee Christine O'Donnell. She’s trailing her opponent badly in a poll out today, but crushing him in the money race, claiming close to a million dollars in contributions in the last 24 hours alone. But as the money flows in, we’re also learning more about how she spent some of the money left over from her former campaign as well as inconsistencies between some of her statements and the facts. Keeping them honest, we’ll be checking the rhetoric against reality. Tonight on 360, what you might not know about the Tea Party sensation of the moment, Delaware's GOP Senatorial nominee Christine O'Donnell. She’s trailing her opponent badly in a poll out today, but crushing him in the money race, claiming close to a million dollars in contributions in the last 24 hours alone. But as the money flows in, we’re also learning more about how she spent some of the money left over from her former campaign as well as inconsistencies between some of her statements and the facts. Keeping them honest, we’ll be checking the rhetoric against reality. In New York, Democrats and Republicans are piling on, calling Carl Paladino, the Republican gubernatorial candidate, a divisive figure who isn’t fit to lead the state. His critics include former New York City Mayor Ed Koch, former New York State Comptroller H. Carl McCall, former U.S. Senator Alfonse D'Amato, and Gov. David Paterson who said, “I don’t think he’s fit for public service. He transferred emails back and forth that were racist, homophobic, and misogynist.” If you haven’t yet seen the emails Paterson is talking about, we’ll show you them tonight. They’re explosive, offensive and some would say indefensible. 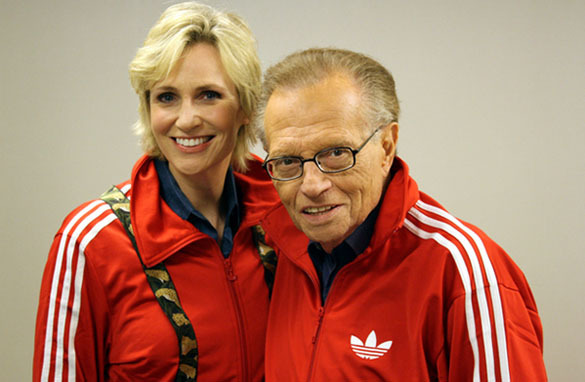 So how does Carl Paladino explain them? Find out tonight when Anderson asks him. In tonight’s Crime & Punishment report, Randi Kaye takes us through the timeline of crucial hours and minutes in a horrifying triple murder and home invasion in Connecticut, while senior legal analyst Jeffrey Toobin tells us whether the defense’s strategy has any chance of working. The details of the crime have brought jurors to tears. The sole surviving victim, Dr. William Petit, has testified about being beaten three years ago inside his home and then bound in his basement. Upstairs, his wife and two daughters were tortured and killed. Jurors have watched a bank surveillance video showing Jennifer Hawke-Petit withdrawing $15,000 to give to the suspects shortly before she died. She told the bank teller her family was being held hostage, which prompted a bank manager to call 911. Yet more than a half hour passed while police waited outside the home, apparently unaware it had been set on fire. Police officials say they were following procedure by setting up a perimeter. But the officers are facing heavy criticism for being so slow to respond. What’s more, the defense lawyer for one of the suspects is now arguing that the police share some of the blame for the deadly outcome. Did the police wait too long? Could they have saved the family? All that tonight. New Haven, Connecticut (CNN) - One of the men accused of killing the wife and children of a Connecticut doctor in a 2007 home invasion told police, "Things just got out of control," his arresting officer testified Wednesday. Detective Joseph Vitello said Steven Hayes was arrested fleeing from the burning home of Dr. William Petit, whose wife and two daughters were found dead inside shortly afterward. Jurors were visibly stunned when shown pictures of the victims' burned remains Wednesday, with at least one weeping in court. Vitello said Hayes and co-defendant Joshua Komisarjevsky were trying to escape in the Petits' car when they collided with two police cars and were forced to a stop. He said he cuffed Hayes, took away a pellet gun built to resemble a 9 mm pistol and asked Hayes what happened to the Petit family. Hayes responded, "I don't know. ... Things just got out of control," Vitello testified. Washington (CNN) – Christine O'Donnell's campaign tells CNN it raised $850,000 in the first 24 hours after her upset victory in the Delaware Republican senatorial primary. Spokeswoman Michelle Lauren says the campaign's website crashed Tuesday night due to the large amount of traffic generated in the wake of her surprise win. The site went back up Thursday morning, she says. Republican establishment figures continue to reach out to her. Republican National Committee Chairman Michael Steele phoned O'Donnell Thursday. Officials with O'Donnell would not characterize the call. 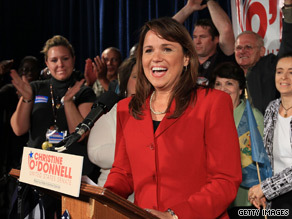 (CNN) – Christine O'Donnell may be the GOP Senate nominee in Delaware, but in 1996 she was the press secretary for the Christian group, Concerned Women for America, and in an interview with CNN, said there was "just as much, if not more evidence" supporting the theory of creationism as there is supporting the theory of evolution. In the CNN interview with then correspondent Miles O'Brien that aired on March 30, 1996 O'Donnell also said DNA is linked to God. "I think that when you look at genetic engineering, it all points to creationism, because genetics can be traced back to the obvious existence of a higher being – of God," O'Donnell said. Although she said she thought the theories creationism and evolution should both be taught in public schools, she voiced her skepticism over the validity of evolution. Baltimore, Maryland (CNN) - Police have shot and killed an assailant who shot a doctor at the prestigious Johns Hopkins Hospital in Baltimore, Maryland, on Thursday, police said. The suspect shot a faculty physician at the hospital just after 11 a.m., police said. The doctor was rushed to surgery and is expected to survive, said Anthony Guglielmi, a police spokesman. The shooting took place on the eighth floor of the main hospital, the hospital said. Police said there was talk that the suspect had been holed up with a family member. In today's installment of AC360°'s Political Theater, Tom Foreman is taking a close look at a new ad out from Nevada Republican Sharron Angle. Angle, a favorite of the Tea Party movement, is challenging incumbent Sen. Harry Reid, the Senate Majority Leader. Earlier in Political Theater: Did Sestak vote to gut Medicare? Political Theater: Did Sestak vote to gut Medicare? (CNN) - Grabbing a U.S. Senate seat is never easy, and it can be particularly challenging in a big, beefy political state like Pennsylvania which politicos nationwide watch for voting trends. So even when Rep. Joe Sestak knocked off long-time Sen. Arlen Specter in the Democratic primary, Sestak knew he would have to run a gauntlet all the way down to the general election. One of the latest landmines: A commercial from the camp of Karl Rove, the renowned Republican strategist. Rove has formed a group called American Crossroads GPS and it is going after Democratic contenders, especially on the issue of the health care bill. The ad leveled at Sestak, who is up against Republican Pat Toomey, is one example. "We're hurting, but what are they doing in Washington?" the announcer says over a photo-shopped caricature of Sestak dining in a fancy restaurant, "Congressman Joe Sestak voted for Obama's big government health care scheme, billions in job killing taxes, and higher insurance premiums for hard hit families. Even worse, Sestak voted to gut Medicare, a $500 billion cut; reduced benefits for 850,000 Pennsylvania seniors." So what's well done and what's too hard to swallow from all that is being served up here? Republican candidate Carl Paladino plans to bring his bat to Albany if elected governor of New York in November. He says he is “mad as hell” and “not going to take it anymore.” However, the millionaire developer has come under fire for his controversial stance on issues, leading many to claim that he is unfit to lead.